When the Ferrari is out for a spin, this luxurious garage has a surprising second life. By Rachel Kashdan·	 1/18/2019, 10:41 a.m.
Two auto enthusiasts relocated their family from Maryland to a Colonial home in Wellesley, but lacked the room to house their fleet of five sports cars. Also on their wish list? A polished space for entertaining large groups of family and friends. 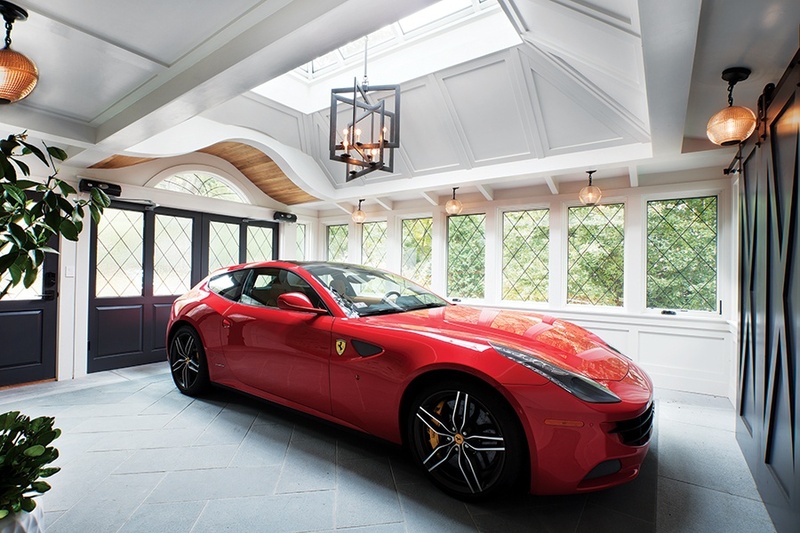 After constructing a second two-car garage at basement level, Boston-based firm Meyer & Meyer Architects added a porte-cochère, or enclosed porchlike structure, to showcase the couple’s Ferrari atop heated limestone floors. But when the wooden double doors open and the wheels hit the driveway, the sleek space also serves as a venue for catered affairs. Meyer & Meyer dressed up the porte-cochère, which abuts the home’s kitchen, for dinners with an eye-catching Currey & Company chandelier that hangs from the skylight, as well as smaller pendant lights that resemble antique car headlights. There’s even an unexpected third function: greenhouse. The homeowners have taken to growing orange trees in the warm, sunlit space. 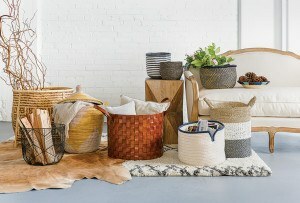 “A garage doesn’t have to be just a garage,” Laura Meyer says.